Shark Navigator Vs Rotator – Which Model Wins On Price And Features? Shark is an innovative vacuum company that now has a large selection to choose from including upright, canister, cordless, and even robot vacuums. Two of their most popular lineups are the Navigator and Rotator series, both having several models to choose from. They both do a great job cleaning but accomplish the task a bit differently. 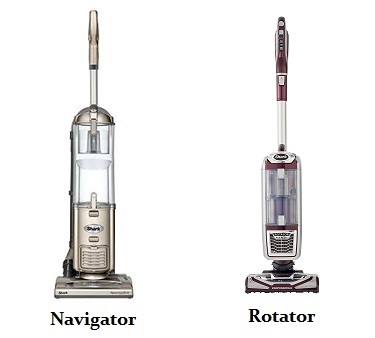 Each will perform certain cleaning jobs better so we thought it would be helpful to put together a side by side comparison to help you decide which of these two upright vacuum cleaners is best for your home…the classic Navigator or the relatively new Rotator? It’s pretty easy to see the difference in looks from these two popular Shark vacuums. The Navigator has a more traditional look while the Rotator is unique with a sleak and streamlined body. Here is a side by side picture to demonstrate this. When looking at larger uprights the first thing you usually consider is suction power. This is more important for deep cleaning carpets but let’s face it, for any cleaning job more power is usually better. The Navigator was the vacuum that really started it all for Shark and it has a classic design. It is larger than the Rotator which provides slightly more weight for pushing the brushroll down into the carpet which is better for thicker or high pile carpeting. However as far as suction power goes they are very comparable as most of their models use the same 1200 watt motor. The Navigator has a classic upright design with standard wheels for rolling frontwards and back. This is what you would expect from most vacuums but the Rotator takes a slightly different approach. It too looks like a standard full sized machine but it comes with dynamic swivel steering. This lets you easily move the vacuum cleaner around furniture and other large items when vacuuming. This saves time and effort as you don’t have to muscle the machine at all. Simply flick your wrist and the Rotator will turn where you need it to. However, recently Shark has updated most of their uprights with this option so be sure to check the specs of any model you are buying. Both of these lineups contain their patented Lift-Away™ models which let you detach the canister portion from the base and take it with you. You can reach under items and into tight spaces, or even go up stairs without losing suction power. It’s almost like having a lightweight hand vacuum that has the power of a full sized unit. This is the ultimate design for portability without losing the advantages of a full sized upright. One feature of the Rotator that is an advantage over the Navigator is the LED lights that are located way down on the floor nozzle. 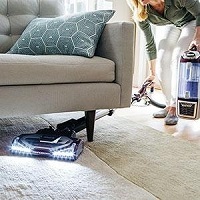 They really light up dark spaces so you can make sure no dirt is left behind and are a great improvement over traditional vacuums that relied on natural light. Filtration is one area where Shark has made great strides in recent years. It’s been well documented the importance that HEPA filters have in the modern vacuum cleaner industry. They are crucial for removing microscopic allergens like dust mites, mold spores, and pet dander from the air inside your home which has a positive impact on your overall health. Either the Navigator or Rotator comes with models that have what they call their Anti-Allergen Complete technology. This is a fully sealed HEPA filter system that not only traps more than 99% of the smallest allergens but also keeps them inside. Fully sealed means nothing can escape at any point through the air pathways, and this is a very important quality to have. For deep carpet cleaning you usually want a slightly heavier vacuum, but not so heavy that it is difficult to maneuver. This helps push the brushroll down into fibers to agitate the embedded dust particles. The standard Navigator models are slightly heavier than the Rotator offerings so this will help with high pile or plush carpets. For a lower pile carpet you want power but a more maneuverable, easy to push machine would work best. This would seem to be where the Rotator would really shine. However, either of these are full sized upright cleaners with more than enough power to handle all types of carpeting throughout a large home. 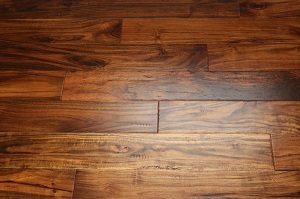 Hard floor cleaning like tile, hardwood, laminate, and linoleum has different requirements. For smooth flooring you want the ability to either turn off the spinning brush roll or to attach a larger hard floor tool to the nozzle. Both of these offerings have brushroll shutoff buttons for quick vacuuming of hard floor surfaces, and are designed to not blow the debris all over the room. Attachments and different configurations are another consideration when choosing the best vacuum for whole household cleaning. One thing that Shark has done with the Rotator and Navigator lineups is to have the same or at least very similar models in each. You can find multiple ‘Lift Away’ vacuums as well as ‘Pet’ models that come with the tools you need to remove pet hair from all surfaces. The older style Navigator models are less expensive than the Rotator offerings. The newly designed lineup just has a few more bells and whistles and a little more technology built-in but Shark has closed the gap by pushing some of these improvements to their older cleaners. It makes sense to compare all of what they have to offer before deciding to buy one. Click here to visit our recommended supplier to start comparing the Navigators, or if you prefer to click here for the various Rotators that are available today.